New features added to Character Locator app. We’re excited to announce a couple of new features that we’ve added to the Character Locator web app. We already offer full character and show schedules, custom designed maps, interaction tips, menus for the 4 main parks, park hours, party information and more. We’re packing even more stuff into the best little Disney World travel app around. Rave & Rant is our new chat feature. 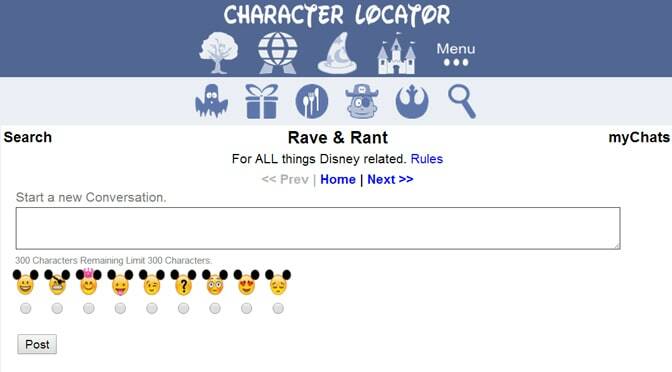 We added it to the app to allow Disney fans to become Disney friends. You can share your ideas, thoughts, things you rave about or even something you want to rant about. This feature is available on the Menu button on the top of the screen. It comes with custom Emojis that you can add to the start of your thread and includes a pirate and a princess. By tagging someone in a post with the @ symbol and their screen name, they will be able to see that you’re calling them out in the chat! If you wish to ask me a question just tag @kennythepirate for example. You can also check your Rave & Rant count in your Profile. Countdown. You can also add the date of your next Disney trip in the Profile section also located under the Menu area. It will then add that countdown automagically to your screen name and menu screen at the top! Change Password: Many people have written us requesting the ability to change their password. When you subscribe, it is initially provided to you to avoid security issues. Well, we’ve added the ability to change your password after subscribing and it will still be secured. You’ll find that on the bottom of the Profile page. Soon we’ll offer interactive Touring Plans. You’ll be able to adapt one of my plans or create your own as you desire. Once you click that you’ve completed a step, it will automatically add it to your Attraction History. 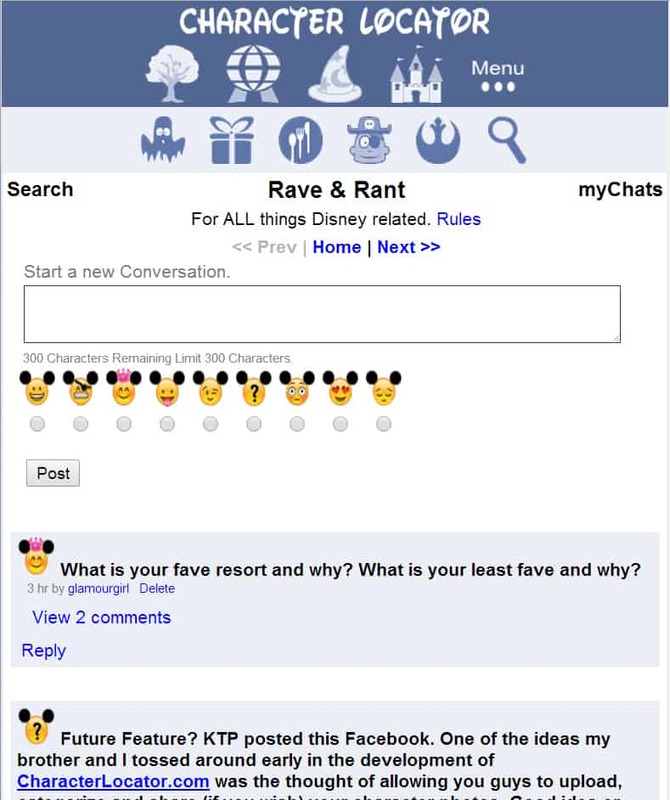 Speaking of Attraction History, we’re looking at ways to allow you to upload your photos and pair them up with your Attraction History and you can then share them with friends in a variety of ways. I’ve got a couple of other surprises up my tank top sleeve, but I’ll share those at a later date. Hope you enjoy the additions and feel free to contribute your ideas. We may implement them in future releases. All great stuff! I only wish we had another disney vacation on the horizon to make use of it all! !